You are on an expedition to the lost city of Zinj. Unfortunately, everyone in your party has disappeared and it is up to you to complete the mission solo. Complicating matters even more, another team is competing against you to be the first to unearth the treasures of Zinj. In order to survive and to claim the fortune, you will have to battle gray gorillas, mutant mosquitoes, giant spiders, and other ferocious creatures. The battles take place in four distinct environments rendered in full 3D. As you work your way through the surroundings, the perspective changes to put you in the middle of the action. 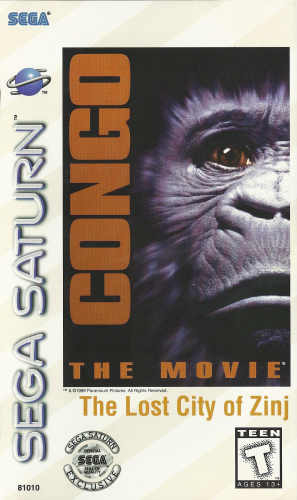 Recover the treasure and try to escape with your life in CONGO: The Movie.